I added this to my original showroom on June 28, 2012. 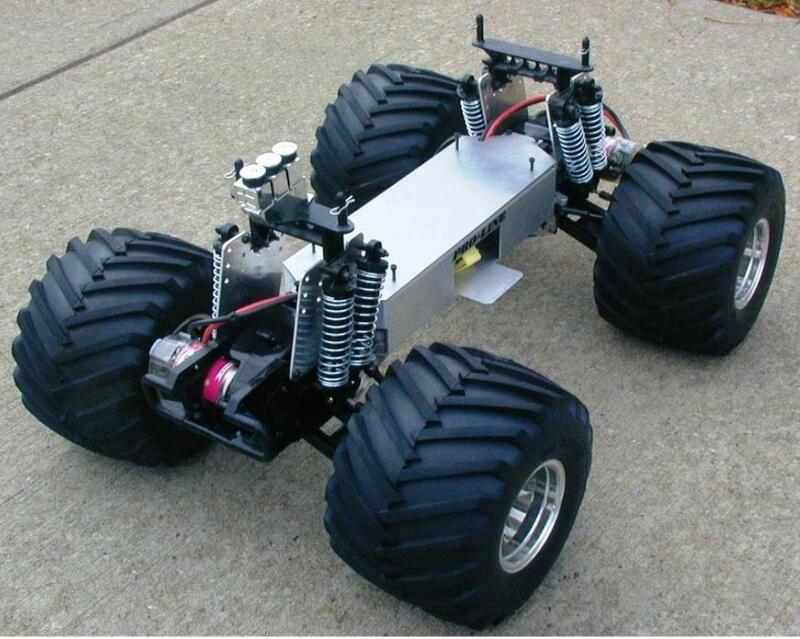 This is my electric Kyosho USA-1 monster truck that I sold back in 2007. It was my first Ebay sale and these pics were taken by a friend of mine for that auction around 2003/04. 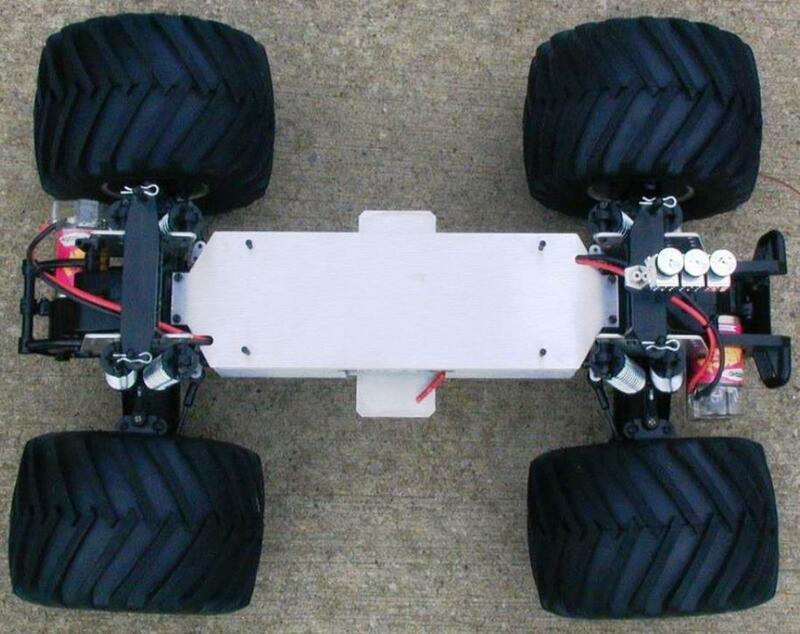 I was never thrilled with the stock kit (particularly the terrible stock steering) from the day I got it NIB back in the mid 1990's so it was soon modified with a Sassy chassis around 1997 that provided dual bellcrank steering and extended the wheelbase which made for a much more scale look. 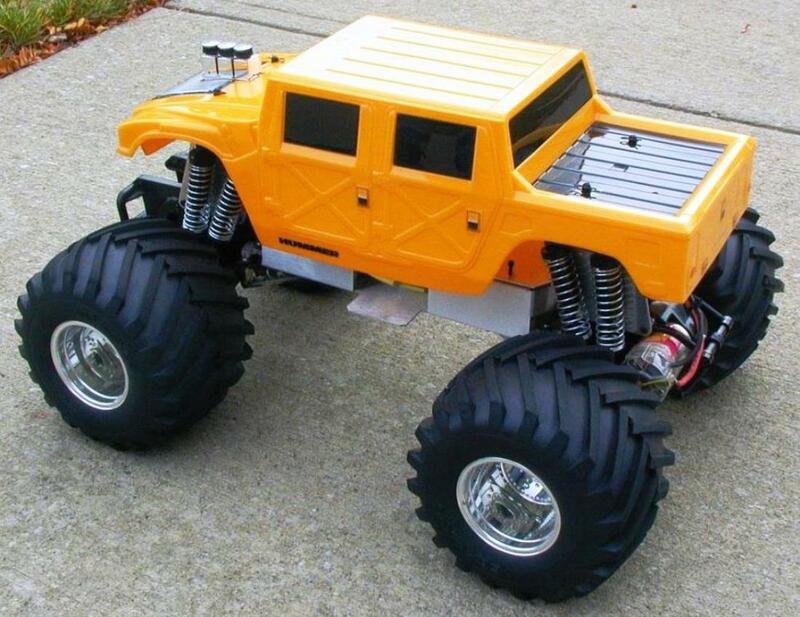 That increased wheelbase required a longer body to match it hence the Proline Hummer body I painted in bright yellow. 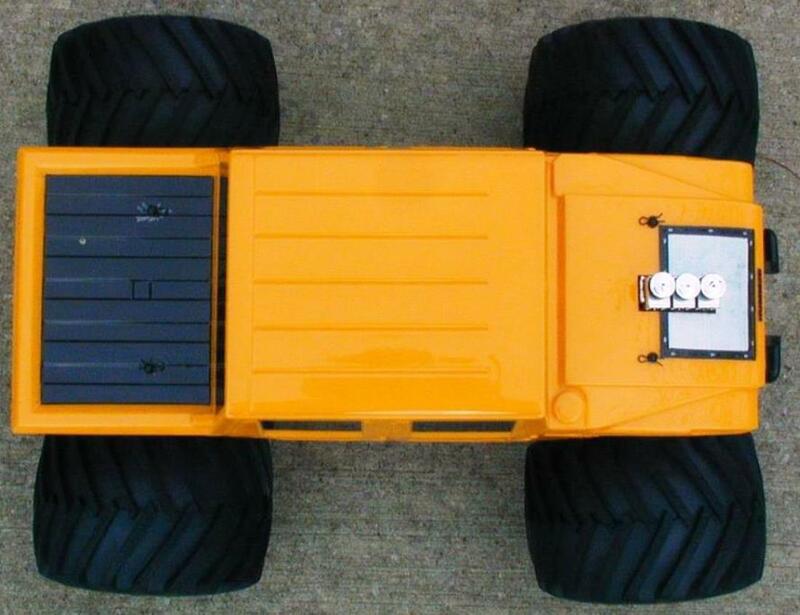 Unfortunately, even the bellcrank steering was inadequate when it came to pushing those big tires around (in hindsight, it needed a high torque steering servo) so, once I saw the Tamiya TXT-1, this truck was never really scale enough for me. Therefore, I ended up getting a TXT-1 and allowed the USA-1 to collect dust until I sold it a couple of years later. 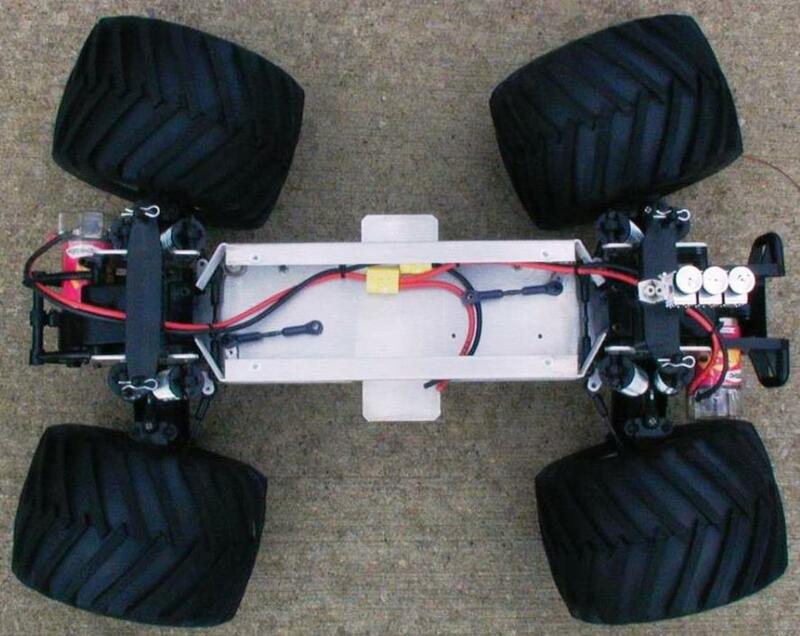 Many of you may remember the RCCA article they did BITD comparing the Clod Buster to the USA-1 in a heads up shoot-out. After the shoot-out, they recommended getting the USA-1 because it was quicker and more nimble than the Clod. I'm not sure why that was their deciding factor but Clod busters far outsold USA-1's anyway and I probably should've purchased one instead as well. However, over a decade later, I regret selling my original USA-1 so I just bought another one from Ebay. 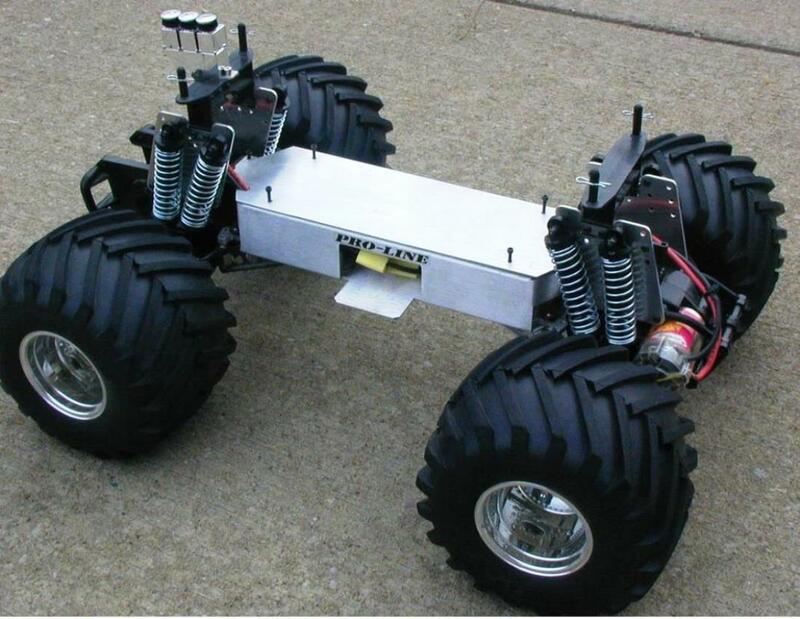 Minus the steering issue, I found it to be a lot of fun to drive primarily because it's basically a buggy with 4-wheel independent suspension and monster truck tires on all four corners. Thanks for looking and hope you enjoy. Much more scale look. 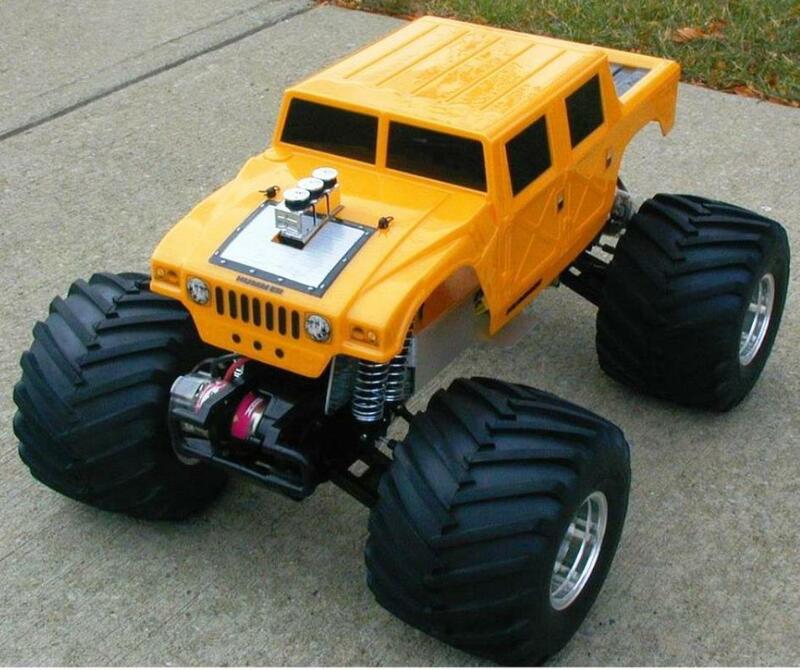 I kept the Hummer body for my TXT-1. :) I carefully cut out the hood. 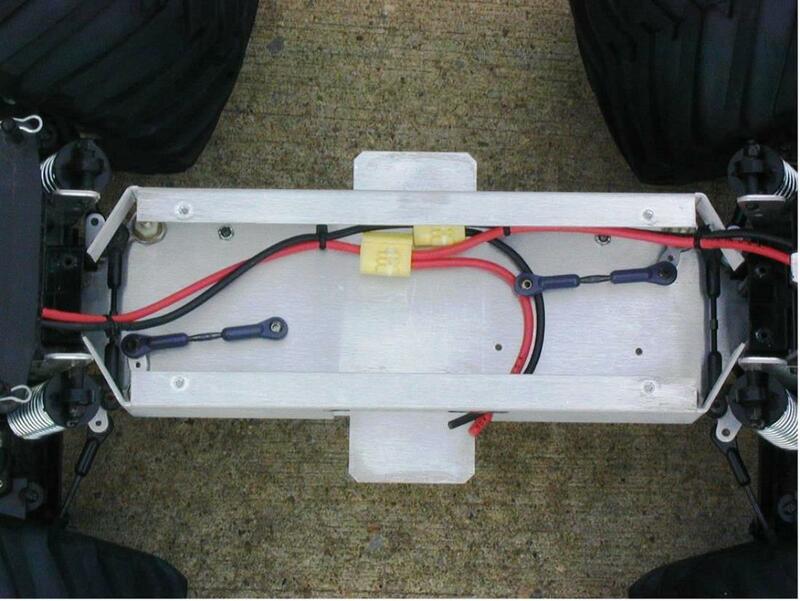 Rare Sassy Chassis upgrade.